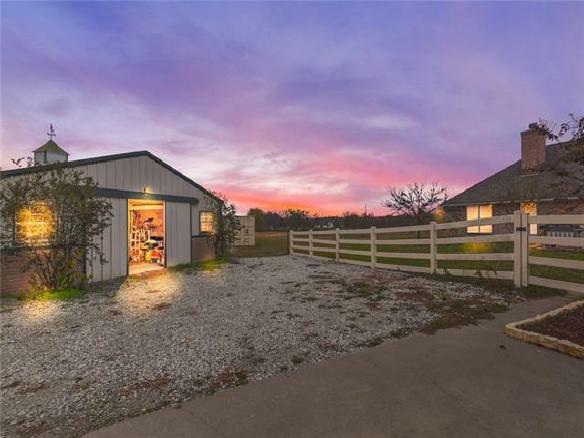 Two Master Suite Ranch home on 2.5 Acres in Aledo ISD with 30x45 2 Stall Horse Barn, 16x12 out building and fenced pasture. NO HOA! 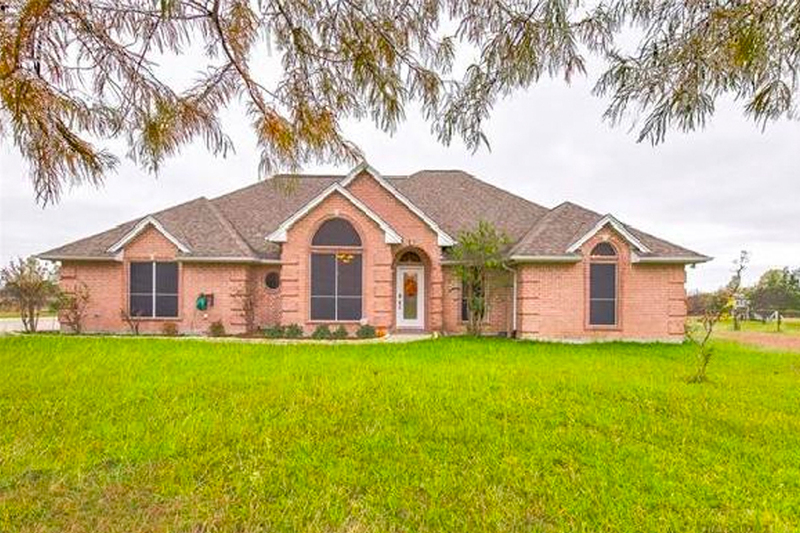 5 bedrooms, 4 full baths & 5 living areas! 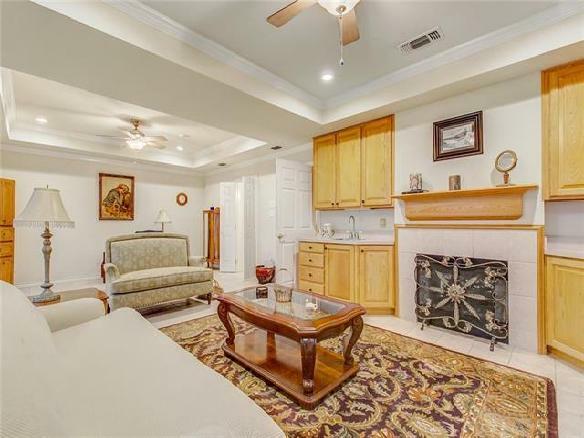 Separate formal dining & custom cabinetry throughout. 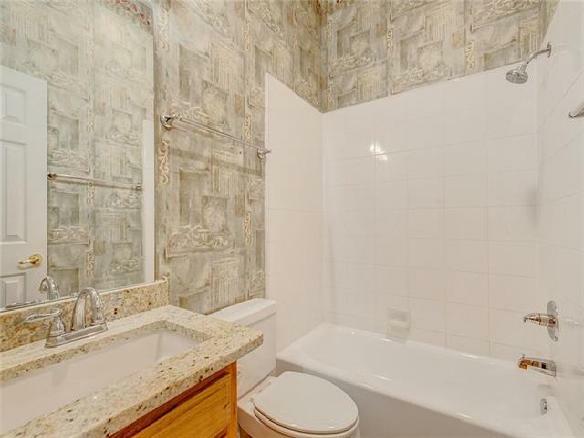 Owners added 1650sf suite w 2 living areas, bed, bath, see through fireplace & patio. 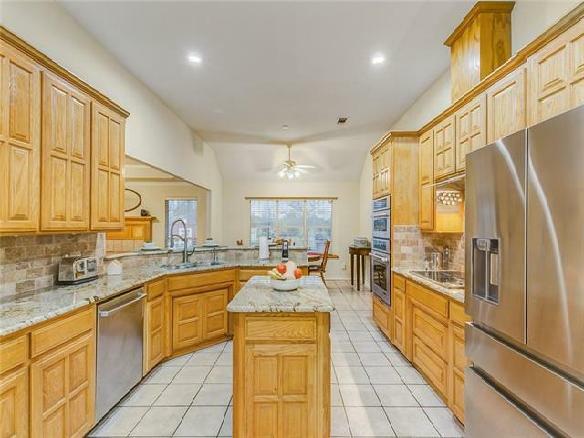 Remodeled kitchen has new granite, backsplash, sink, high end appliances & under cabinet lighting. 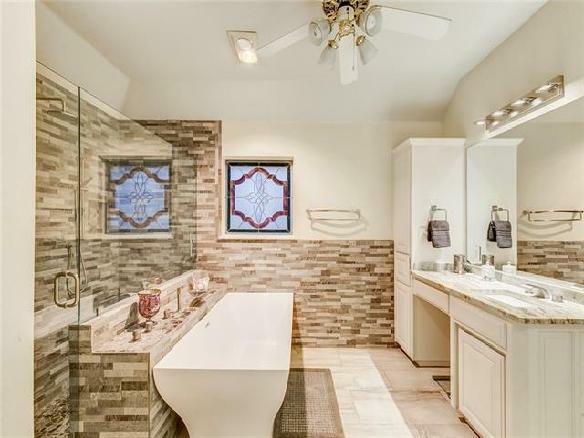 Remodeled original master suite has granite, led faucets, spa shower & slipper tub. New water heaters & overhauled landscape. Private Paluxy well has new whole house filter, softener, & pump. Bring your horses. 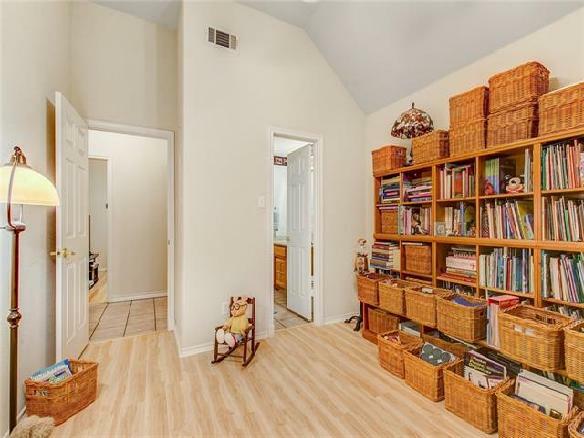 2.5 Acres Next door also available. Ten Thousand Dollar Allowance from Seller for Updating.